Spoilers are discussed on BookRiot. The Times reviews Sally Cookson's new stage production, A Monster Calls. The Independent features Garfield and its creator Jim Davis, who makes a good point. It’s a far cry from when comic strips were decried as trash literature that should be thrown in the bin rather than get in the way of “proper” reading. A contributor to Asbury Park Press shows how to make a Jane Eyre-inspired wine charm. 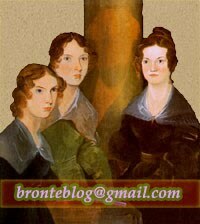 Brontë Babe Blog is doing an A to Z (so far it's A to Q) of Charlotte Brontë's juvenilia.